Nairobi – Ethiopian authorities should immediately drop all charges and release a former World Bank translator and two other local activists charged under Ethiopia’s repressive anti-terrorism law after trying to attend a workshop on food security in Nairobi, six international development and human rights groups said today. 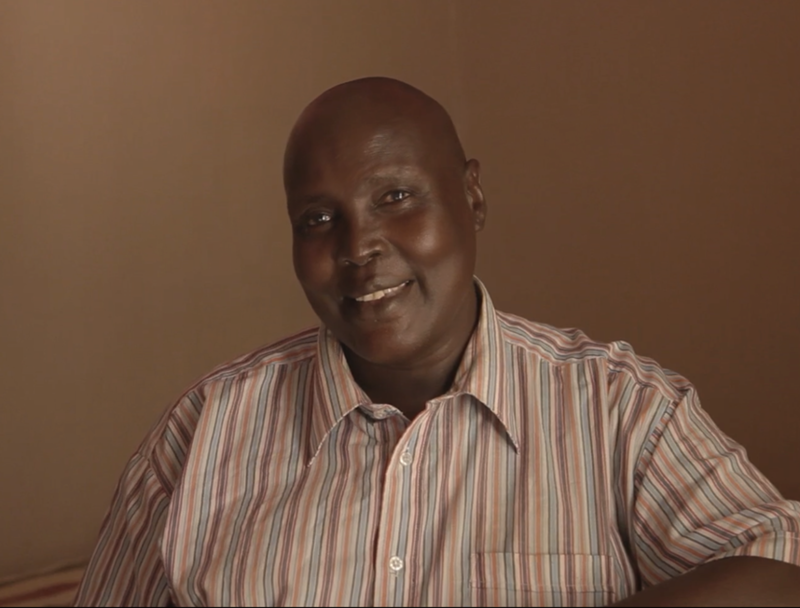 Pastor Omot of the evangelical Mekane Yesus church in Ethiopia’s Gambella region was an interpreter for the World Bank Inspection Panel’s 2014 investigation of a complaint by the Anuak indigenous people alleging widespread forced displacement and other serious human rights violations in relation to a World Bank project in Gambella. He had raised concerns with workshop organizers about increasing threats from Ethiopian security officials in the weeks before his arrest. The food security workshop in Nairobi was organized by Bread for All, with the support of the Anywaa Survival Organisation (ASO) and GRAIN. Bread for All is the Development Service of the Protestant Churches in Switzerland. ASO is a London-based registered charity that seeks to support the rights of indigenous peoples in southwest Ethiopia. GRAIN is a small international non-profit organization based in Barcelona, Spain that received the 2011 Right Livelihood Award at the Swedish Parliament for its “worldwide work to protect the livelihoods and rights of farming communities." The charge sheet accuses Omot of being the co-founder and leader of the Gambella People’s Liberation Movement (GPLM) and communicating with its leaders abroad, including ASO director Nyikaw Ochalla, who is described in the charge sheet as GPLM’s London based “senior group terrorist leader.” Omot faces between 20 years and life in prison. Ashinie is accused of participating in the GPLM, including communicating with Nyikaw and preparing a research document entitled “Deforestation, dispossession and displacement of Gambela in general and Majang people in particular.” Jamal Oumar is accused of being a participant of a “terrorist group” and of organizing recruits to attend the Nairobi workshop. Human Rights Watch and other organizations have documented numerous incidents in which individuals critical of Ethiopia’s development programs have been detained and harassed, and often mistreated in detention. Journalists have been harassed for writing articles critical of country’s development policy. For more details on the case of Pastor Omot, please see below. In London, for Anywaa Survival Organisation, Nyikaw Ochalla (English, Amharic): +44-79-39389796; or [email protected]. In Montreal, for GRAIN, Devlin Kuyuk (English, French): +1-514-571-7702; or [email protected]. In Phnom Penh, for Inclusive Development International, David Pred, (English): +855-96-3694065; or [email protected]. In Switzerland, for Bread for All, Miges Baumann (English, German, French): +41-79-489-3824; or [email protected]. In February 2014, Pastor Omot acted as interpreter and facilitator for the World Bank Inspection Panel during its visit to Gambella to investigate a complaint brought by former Gambella residents concerning the bank’s Protection of Basic Services (PBS) program. The program funded block grants to regional governments, including paying salaries of government officials. In February, the World Bank board considered the Inspection Panel’s recommendations. Shortly thereafter, Omot reported that he was under increasing pressure from Ethiopian security personnel. While the Inspection Panel had not disclosed Omot’s identity in its report, it included a photograph of him with other community members, which was removed from subsequent versions. The week before his arrest, several people told Omot that a well-known federal security official from Gambella was looking for him. Within days of Omot’s arrest, Human Rights Watch and other organizations alerted the World Bank Group president, Jim Yong Kim, and the European Union, US and Swiss missions in Addis Ababa. But on March 31, the World Bank board approved a new US$350 million agriculture project in Ethiopia. On September 15, the World Bank approved a $600 million Enhancing Shared Prosperity through Equitable Services project, which is replacing one of the subprograms of the Promotion of Basic Services program. World Bank staff assert that they have privately raised the case with Ethiopian government officials, but the nature of any communications is unclear. In a May meeting with nongovernmental organizations in Washington D.C., World Bank staff said that the government had informed them that Omot’s arrest was in accordance with Ethiopian law and unrelated to the bank’s accountability process.